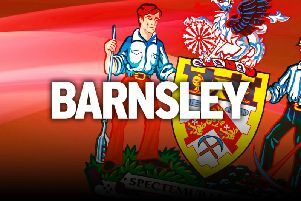 Mike Bahre admits that life in Barnsley is better than he ever thought it would be. The German midfielder arrived in South Yorkshire with seconds of the summer transfer window to spare as he joined from Hannover on a loan deal, which will become permanent. Bahre was on boss Daniel Stendel's radar since his Oakwell appointment and the 23-year-old has not disappointed, looking lively in the seven appearances he has made. He is surprised by how well he has transitioned to the fast and furious style of English football and is looking forward to sticking around. “I don't feel like I am on loan here, I want to stay here, it is not a normal loan,” he said. “It was just a loan because of the new rule of the transfer period, that is why it feels like I am not here for just one year. “I have settled in really well, I love playing here, I love living here, better than I ever thought to be honest. “We are doing really well. It is a bit different playing football in Germany, it is more intensive, everyone is powerful, everyone is strong and everyone has good technique. Bahre will be involved as the Reds travel to Charlton, looking to extend their excellent start to League One. They have been particularly impressive away from home, winning four times – two of them 4-0 – and assistant coach Andreas Winkler says his side can play pressure free away from Oakwell. “Sometimes it is just a feeling for the players that there is more pressure at home,” he said. Charlton have not won in three games, but Winkler does not expect Lee Bowyer to change their gameplan. “They won’t park the bus so they are ambitious enough to play football,” the German added.